How large is the largest terrestrial globe you've ever seen? Many people buy a small terrestrial globe or see a large one in a planetarium or a science and technology museum. Generally, they are small model which are made of plastic. However, people in Zhanjiang City, Guangdong Province witness the construction of a stainless steel globe sculpture in a luxury community. This stainless steel globe sculpture, with a height of 5.5m, captures much attention of the residents. The sculpture consists of three parts: the foundation, the outer circle and the globe. Except for the foundation, the body of the sculpture is made of stainless steel, the globe is surrounded by the outer circle. As the core of the sculpture, the globe is not a whole sphere, instead, it has several transverse and lengthways circles with the continental plates, just like the earth. The 5.5-meter-height globe is shining in the sun, becoming a new landmark of Zhangjiang City, China. Step One: Designing. 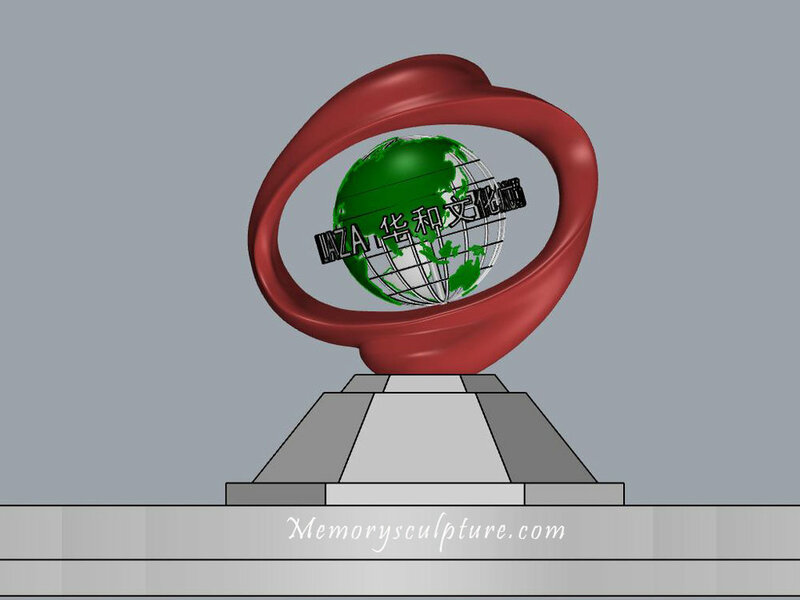 As its appearance, the inspiration of this globe sculpture was the terrestrial globe. When designer was asked to design a stainless steel sculpture outside the community, he came up with the inspiration of making a grand globe. Thus, he drew and modified again and again, until he is satisfied with the design. Step Two: 3D foam model printing. 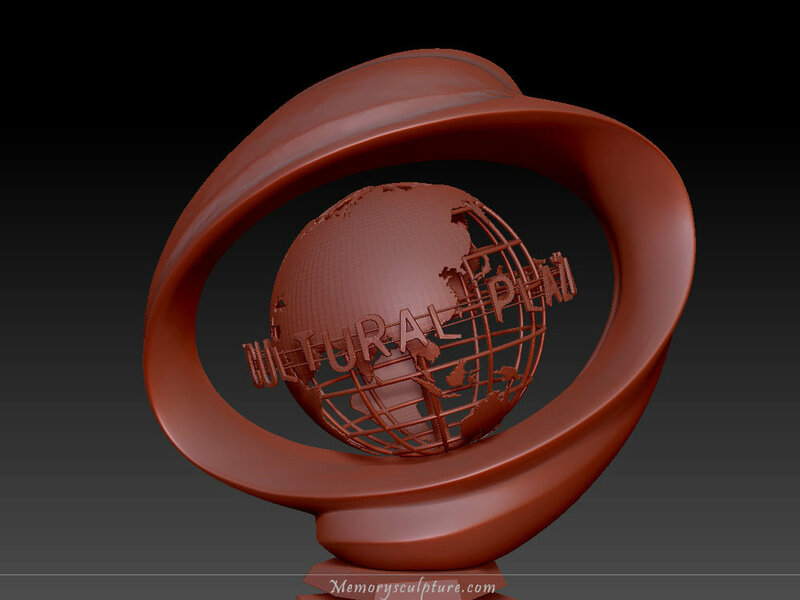 Normally, they will print a 1:10 scale resin model before start the enlargement, so that they can check the shape and details, if everything is correct, the 1:1 scale foam model will be printed. After that, the sculptors can follow the foam model to start the forging. Step Three: Forging. To forge the components of sculpture separate was one of the most important steps. A large stainless steel sculpture could not be forged as a whole, so the sculptors usually forge a large one separately, as they did in this case. They used an electric clippers and plasma cutting machine to cut the thick stainless steel, and forged the material as the foam model appears. Step Four: Welding. Every component was welded and became a whole sculpture. As the stainless steel globe sculpture was so high and heavy that even a ladder and crane were used to assist. Step Five: polishing. This step was very significant for a stainless steel sculpture, and it is a necessary to make the sculpture into an artwork. The team adapted grinding wheel to rub down the welding and redundant part, and later buffed it with polishing paste to make it more bright. Besides, in order to make the sculpture more beautiful, marble panel were stick on the foundation. 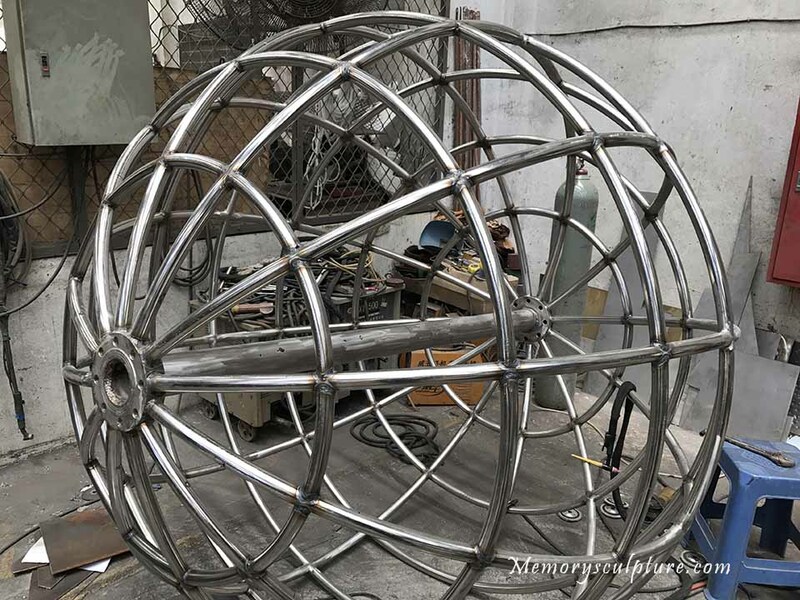 After all these process, a large stainless steel globe sculpture is completed, showing its modern sense and art sense.